In celebration of Tea & Poetry Month at Lan Su, join us for a special Tea, Poetry & Music Fair on Saturday, October 6 at Lan Su Chinese Garden from 11 - 6 p.m. Local tea vendors will be on hand answering questions and providing free tea tastings. Join us for a day of poetry recitals, Chinese music, tea ceremonies, talks, tastings and more! 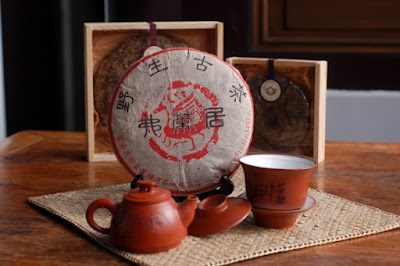 Tea has a major influence on the development of Chinese culture. Tea is often associated with literature, arts, and philosophy. Since the Tang Dynasty, drinking tea has been an essential part of self-cultivation in China. Come join these tea experts as you wonder through the garden and stop by for a free tea tasting! As part of Celebration of Tea, Poetry & Music, there will be poetry reading and Chinese musician play throughout the day.